Dubai’s investment property market still has good longer-term prospects despite the current slowdown, commentators have said. Writing for the Sunday Times, Ben Dahlstrom and Alex Evans said the state will continue to attract buyers despite the hits it took in 2008. The emirate still has four million square metres of real estate under construction, they say, worth some £2.7 trillion. Last month research firm Reidin also said Dubai would remain a hot spot for property investment, with Indian, Pakistani and Russian buyers, among others, still keen to buy in the state. 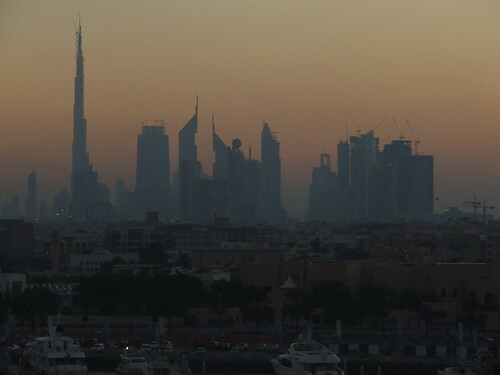 The Evans – Dahlstrom article says Dubai “will continue to generate interest” thanks to the presence of local wealth, international experts and support from government agencies. Evans and Dahlstrom, of magazine Overseas Property Professional, also said the market is now changing to attract environmentally-conscious buyers. Emirates Business also recently reported the outlook for UAE banks was “positive” thanks to the inherent strength of the local economy. The magazine said a report by ING has ruled out the possibility of a crash in the sector, although there is likely to be a slowdown in credit expansion. More investment property loans for Dubai?